Chicago DJ Equipment Online Superstore - PRO DJ & STUDIO GEAR AT THE LOWEST PRICES! The DriveRack PA has already become a staple of the complete package for live sound perfection. 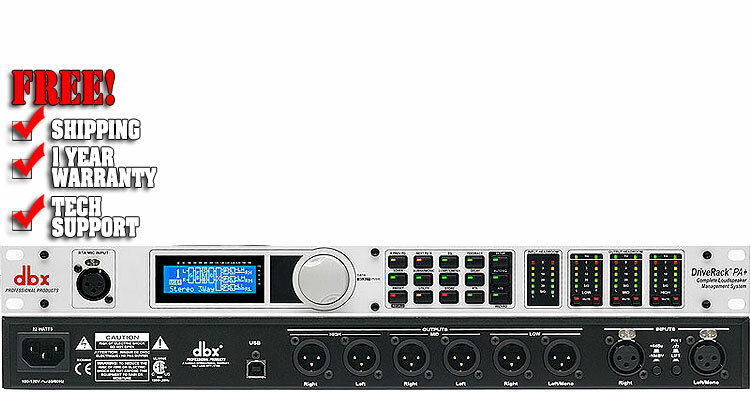 The easiest way to make your PA sound clearer, punchier and all around better sounding, the Dbx Driverack PA Plus adds even more features and an improvement of over-all functionality. More settings, more control and enhanced circuitry; the soundyou seek is right at your fingertips. Although the DriveRack PA Plus is loaded with functions and features, it is easy to set-up and use. The dbx exclusive Set Up Wizards walk you through system set up with easy to follow step-by-step instructions. Just pick your speakers and amps from the built-in list on the PA Plus and then let the Auto Level Wizard fine tune the level settings of each speaker. You can then let the Auto EQ Wizard help you further optimize your sound. 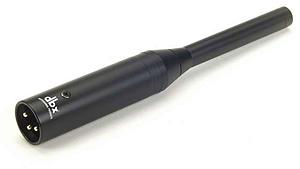 Finish up by using the AFS Wizard, which automatically sets filters to eliminate any feedback during performances. Within minutes, your system will sound like it was tuned by a pro! No experience required. Get the most out of your PA with the DriveRack PA Plus, the worldwide standard in loudspeaker management.